Milt Owens MD FACS: Stanford BA, McGill MDCM, Internship and Surgical Residency University of Utah, Nephrology Kidney Transplant Fellowship University of Utah, Major United States Army, Assistant Professor UCLA and Chief Kidney Transplant Service VA Wadsworth Hospital. He later began bariatric surgery and private practice in association with Dr. Carl Hill in San Pedro, California who developed and patented the 'Hill gastric clip' for weight loss. Dr. Owens did a brief preceptorship with Dr. Edward E Mason founder of the American Society for Bariatric Surgery and inventor of the vertical banded gastroplasty and gastric bypass operations. Dr. David Miller in Salt Lake City was most influential in perfecting the technique of gastric bypass. Dr. Owens studied Dr. Miller's techniques in Salt Lake City and in 1994 founded Coastal Obesity. Dr. Owens has performed over 2,500 bariatric procedures with both open and laparoscopic techniques and has extensive experience in the revision of intestinal bypass and stomach stapling operations. He has 33 articles and several book chapters in the medical literature. 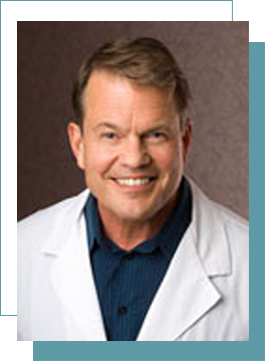 Dr. Owens is a frequent guest on both radio and television. He is an active member of the American Society for Metabolic and Bariatric Surgery (ASMBS), and served as its Chairman of Public Education Committee from 1999-2001. He is also a member of the Surgical Association for Gastrointestinal and Endoscopic Surgery, The Western Surgical Association and The American College of Surgeons.